We are pleased to announce the Hotel il Moro di Venezia, a brand new two-star hotel in the heart of Venice where you can stay and enjoy the highest standards of hospitality. Robert, Nicholas and Angela are waiting for you in a completely renovated hotel. 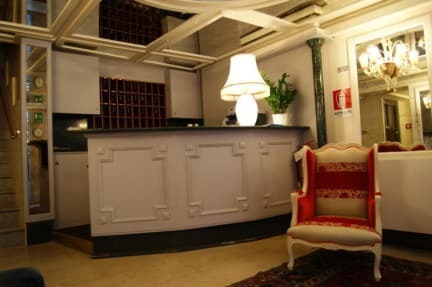 The location of Hotel Il Moro di Venezia is convenient and strategic: it is located one minute from the train station in Venice Saint Lucia and Piazzale Roma car terminal. 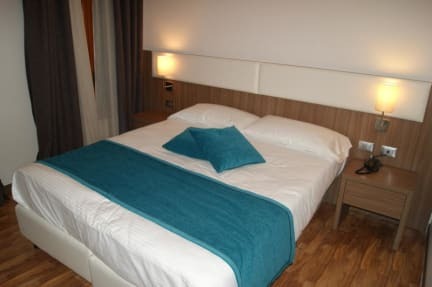 An ideal base for exploring the many cultural and tourist attractions that Venice has to offer! The international staff of the hotel Il Moro di Venezia is always at your disposal, we will suggest itineraries, we will give you advice on how to move around Venice and the neighboring islands (Murano, Burano and Torcello) and what to see and what to do according to your needs. And after a day walking around the streets of Venice is waiting for a well deserved rest in our rooms, designed in a style that mixes modern comforts with traditional elegance of the Venetian style. All rooms have recently been renovated (with the opportunity to have been made soundproof) and have a private bathroom, TV, telephone and air conditioning. Very easy to find and close to the bus/train stations which makes this hotel great for a quick trip. Nice free breakfast. The room is small but clean and functional.